To lose weight is a dream for many. According to statistics, almost 80% of women are dissatisfied with their weight and few people by the age of 20 did not try all kinds of diets. Men usually think about this later than girls, and lose weight for the sake of health. Anyway, the question "how to lose weight properly?" Is of interest to almost everyone. Slimness is good for many reasons. Obesity and overweight create a greater burden on the heart and spine, and the liver suffers too - its cells degenerate into fatty cells and cease to function. However, the very process of weight loss can be risky, especially if a person who has never limited himself to eating suddenly starts starving or drinking "magic" teas and pills with a suspicious composition. Losing weight without harm to health is possible, but some rules are required. Otherwise, after a strict diet, the weight will quickly return, and the state of health will only worsen. Many people dream of losing weight fast, dropping 20 kg in a couple of months. However, this rate is very dangerous for the body. In a month a person can gain up to 3 kg of fat, the rest - just water. The safe rate of weight loss is the same. Strict diets that promise rapid weight loss, have a bad effect on the condition of all tissues - because of the meager diet they do not get enough amino acids necessary for cell regeneration. Weight goes, but not so much at the expense of fat, but due to the reduction in muscle volume. A hunger strike is also a blow to the liver. For this organ, rapid weight loss is simply fatal - it can cause fatty degeneration of hepatocytes. It should be noted that the symptoms can occur after a long time - when you have not been hungry for a long time. Liver and various fat loss pills are harmful to the liver - often women are not even interested in what they are made of, but such drugs can be very toxic. In addition, after a sharp loss of weight carbohydrates and fats are sent by the body to the ... liver, and a woman striving for harmony, is in a hospital with obesity of this organ or acute hepatitis. Fasting often harms the gall bladder. Thus, rapid weight loss leads to an increase in cholesterol and a decrease in the content of bile salts. As a result, excess cholesterol is not excreted, and this contributes to the occurrence of gallstones. Insufficient food causes hypoglycemia - a decrease in blood sugar. This affects the endocrine system and provokes hormonal disorders. Fans of hunger strikes suffer from violations of the menstrual cycle, depressions and sharp mood swings, they develop rashes on the skin and stretch marks. In short, a strict diet and, especially, starvation carry the body more harm than good. Not to mention the fact that malnutrition slows down metabolism and kilograms return very quickly - after all, during the diet the body is used to saving calories! Does this mean that weight loss without harm to the body is impossible? Of course not. But the correct weight loss is a system of nutrition, and not two weeks of a strict diet or refusal to eat. Healthy weight loss involves not only a balanced diet, but also a certain lifestyle change. Here are some rules, observance of which will help you lose weight without consequences for well-being and beauty. Fractional power. Eat small meals 5-6 times a day. This schedule is more physiological than the usual three meals a day. It prevents the accumulation of visceral fat. A full-fledged menu. Your food should contain both proteins, and fats, and carbohydrates in a ratio of 30:20:50. And the best source of fats for you - ocean fish, nuts and vegetable oil, and not bacon and cream. Carbohydrates should be obtained from vegetables, fruits and grain, not from biscuits and sweets. Motion. No diet will give the desired effect if you are sitting still. Take for a rule to spend at least 3 hours a day on your feet - even a simple walk will give the desired effect. This way you will spend at least 150 calories more. Do not eat at night. If you go to bed at 11pm, there's no point in starting to limit yourself to eating after 6 - by the time you go to bed, you'll be hungry. However, the last meal should be 2 hours before bedtime and not later. If you feel hungry, drink some water. Sweet sodas and packaged juices are not worth drinking - they have a lot of sugar and they do not give a feeling of saturation. Do not provoke yourself. To stop "kusochnichat" and eat sweet is very simple - just stop buying harmful food. If you do not have chocolates at hand, it's unlikely that you will follow them at the first desire to eat sweet. Instead of sweets, keep a strategic supply of fruit in the refrigerator. Get enough sleep. Mode is the basis of healthy weight loss. Chronic lack of sleep disastrously affects all processes, and first of all - on the metabolism. People suffering from insomnia lose weight longer than those who sleep for 7-8 hours. Maintain the body. Help your body - take vitamin and antioxidant complexes, and you can also support the liver by taking a prophylactic course of hepatoprotectors - liver protection products. By the way. According to WHO, Russia is on the 19th place in the list of the most "complete" countries of the world. Today in our country, 60% of women and 50% of men over 30 years of age are overweight, and 30% - are obese. Proper weight loss involves the use of healthy and dietary foods and the rejection of high-calorie foods containing transgenic fats and sugar. Cereals. Best is oatmeal and buckwheat. In these croups a lot of fiber, cleansing the body from the inside. They also contain the most important nutrients: proteins, fats, carbohydrates, as well as calcium, phosphorus, iodine, vitamins B1 and B2, PP. A plate of porridge is the perfect diet breakfast. Fresh cheese. Soft cheeses - for example mozzarella and feta - contain linoleic acid, which for a long time helps maintain a level of satiety, and calcium, which accelerates the process of fat burning. Vegetables and fruits. They have a lot of vitamins and fiber, and there are few calories, so the greens and fruits are the perfect basis for a proper diet for losing weight. In orange and red vegetables and fruits, a lot of vitamin A, which is good for vision, beautiful skin and healthy liver. In green vegetables (especially spinach and broccoli) contains the whole complex of B vitamins, as well as potassium, iron and calcium. Berries. The source of antioxidants and vitamins, as well as a useful alternative to sweets. A fish. Fish oil reduces cholesterol, clearing blood vessels from plaques and reducing the risk of heart attack and stroke by half, it also improves brain function and contains vitamin E, which is essential for liver health. The fish is rich and vitamin D, the lack of which leads to depression and fragility of bones. Eggs. 3-4 eggs a week - prevention of gastric and duodenal ulcers, pancreatitis and nervous system disorders. In the egg yolk contains fatty acids and choline - substances that "wean" the body to store every calorie in reserve and accelerate metabolism. Beans. They are rich in protein and fiber, normalize digestion, quickly saturate, and prevent nerve disorders. Products of wholemeal flour. Another dietary product that really gives a sense of satiety. Whole-grain bread helps to overcome obesity, diabetes, vitamin deficiency, depression, heart and vascular diseases. It also contains many B vitamins useful for the liver. Dairy. The source of protein for muscles, as well as calcium, is necessary for teeth, bones and metabolic processes. Lipoic acid, which is found in milk, promotes liver health. Olive oil. It is an excellent source of vitamin E. Olive oil lowers cholesterol, "cleanses" the liver, speeds up metabolism and removes toxic substances. White bread and pastries. In white flour, there is almost no substance that is healthy. These are empty calories, which saturate briefly and instantly deposited on the sides. Canned food. Even such useful products as fish and vegetables lose their valuable properties in the process of conservation. In addition, canned food has a lot of salt that can cause pressure and swelling, as well as dyes and preservatives. Smoked meat. Like canned food, they contain a lot of salt and fat. Roast. This is the first thing that should be abandoned during a diet. Fried dishes contain a lot of oil, they are carcinogenic, harmful to the liver and pancreas and are very caloric. Why limit yourself and play sports, if you can just go to the pharmacy and buy pills that promise weight loss without any effort, or a magic cream that reduces the volume? First, it's not safe. Unauthorized "natural" funds at best can be a pacifier. At worst - the outcome can be tragic - many young women already found themselves in a hospital bed due to the taking of such "medicines", and not all were saved. Among the consequences are toxic hepatitis, hormonal imbalance, psychosis, insomnia, heart attacks, dehydration due to vomiting and diarrhea, severe poisoning. Suffice it to say that many pills contain ultra-high doses of caffeine, extracts of toxic plants that cause diarrhea, and other dangerous substances. Secondly, even approved for sale and certified products to reduce appetite and accelerate the breakdown of fats can not be taken independently. Such pills have many contraindications - from hypertension to nervous disorders and inflammatory processes. Perhaps the cream for weight loss - the most innocuous means. Are they effective? Producers promise a smooth tightened skin and a decrease in volume, but to achieve this effect, the cream should be applied with vigorous massage movements, preferably after physical exertion and peeling the skin. 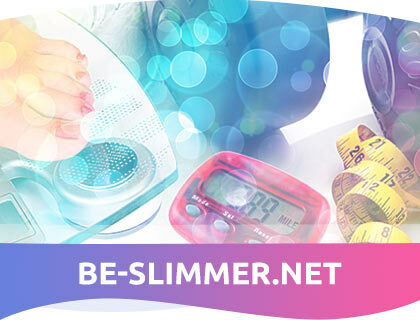 In addition, the result will be more noticeable if you limit yourself to sweets and fatty foods. The recommendations are reasonable, but think about it - does not this story remind you of a porridge from an ax? Massage, physical activity and a healthy diet will in any case give a result, with or without cream. Change the diet gradually. A sharp change in the menu can become a psychological shock. It would seem - it's just a meal! However, a sudden refusal of the usual delicacies causes many people to feel unhappy. You do not have to fight yourself and aggravate stress. Just gradually replace harmful products with useful ones. Can not live without fried chicken? Eat it without skins. Do you like chocolate? Substitute harmful milk for useful black. And instead of chocolate cake you can eat a fruit salad with natural cream ice cream. So, step by step, you accustom yourself to eat right and do not scold yourself for lack of willpower. Positive attitude is already half the success. Eat only what you like. Even the most low-calorie food can be very tasty. Choose your favorite foods from the allowed list and experiment. If you hate cabbage, but for the sake of harmony only to her and eat, nothing good will come of it. Set achievable goals. Any task becomes easier if you break it down into several small steps. Do not tell yourself: "I will lose 10 kg by the end of the year." It is better to promise that in a week you will not eat a slice of white bread or you will go every day for 3 kilometers. Find your "own" store. Surely, somewhere near your home there is a store of natural healthy foods - these days they are very popular. There is no such thing - no problem, no doubt, there is a farmer's market nearby. In such places, they rarely sell harmful buns and sweets, but a lot of fresh vegetables, greens, village eggs. Buy the products there - there will be no temptation to grab a bright box of cookies from the shelf "just in case". Do not be distracted while eating. Many of us have dinner in front of a TV or computer - and this is a very bad habit! Scientists have proved: when we focus on the film, we eat a third more than we need. Encourage yourself. Praise yourself for every kilogram you lose - you can even buy yourself small gifts (of course, inedible). And for the violation of the diet, punish yourself not with pejorative monologues, but with additional physical exertion. Believe me, half an hour of jogging after eating a cake will be much more useful than three hours of a monologue on the topic: "I'm fat, and I do not have the willpower." If you are determined to regain harmony, you will certainly succeed! There are quite a few examples where "pyshki", seriously considering the problem, turned into smart beauties, and some even became famous fitness trainers, such as Gillian Michaels, the author of very popular video courses for those who want to lose weight. To the process of losing weight was pleasant and safe, discuss your diet with your doctor. Problems with the liver - the most common outcome of improper weight loss. But even if you do everything right and do not get carried away by strict diets and "fat burner" tablets, the liver needs help. Hepatoprotectors - a whole class of drugs to support liver function. Their task is to protect the cells of this organ from the influence of the external environment, to strengthen them and accelerate their recovery. The most common active component of such drugs is essential phospholipids, which strengthen the walls of liver cells. The best phospholipids work in combination with glycyrrhizic acid - a substance that is obtained from licorice root. Glycyrrhizic acid is a powerful anti-inflammatory and antioxidant component. Long-term studies have shown that phospholipids with glycyrrhizic acid are most effective for restoring normal liver function. Means, which include these substances, strengthen the liver cells, accelerate their regeneration and relieve inflammation.